Woody Harrelson stars as Harlan DeGroat; a degenerate modern day outlaw; in this engaging drama about the modern criminal underworld. 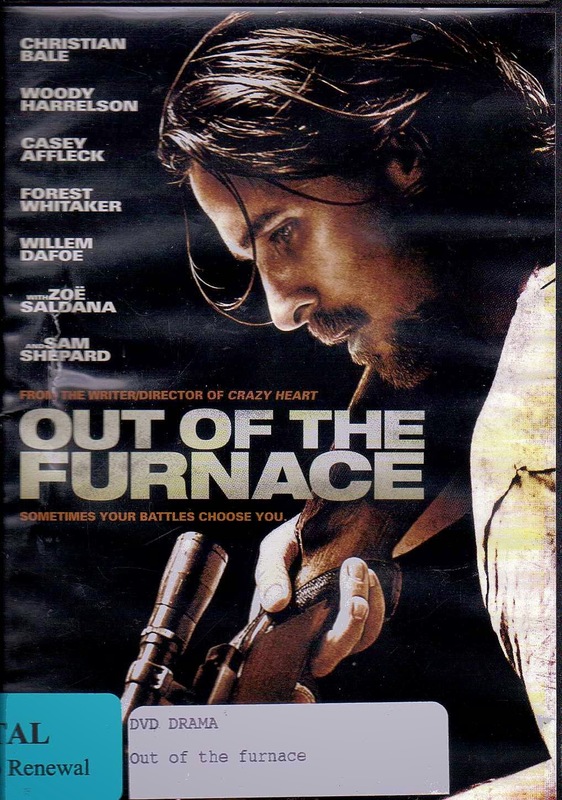 Russell Baze; played by Christian Bale; and Rodney Baze; played by Casey Affleck; are two brothers from a steel mill town in Pennsylvania. Rodney is just back from his 4th tour in Iraq and is not interested in following his brother and father into the steel mills just outside Scranton, Pennsylvania. He has seen their lives degenerate into poverty and illness, and he vows to make something better for himself. But what can he do? After coming back from his last “stop loss” extension in Iraq Rodney has a lot to be angry about. And a local fight promoter named John Petty; played by Willem Dafoe; is there to exploit that anger as he loans the boy enough money to force him to work off the debt in the ring. Of course Rodney owes Petty more money than he can ever earn in these local fights; unless he takes a “dive” to ensure that Petty wins. But this is something he just cannot seem to make himself do. Looking at a long future of small time fights leaves him longing for the chance at one big fight to free him from the clutches of his debt to Petty. Petty warns him of the dangers involved in going up against some of these other men, but his warnings go unheeded and Petty sets up the match. The man who controls the fighting game in the area of New Jersey where they go is named Harlan DeGroat and is played brilliantly by Woody Harrelson. From the opening scene in the drive in theater you will loathe this character. Forrest Whitaker plays local Sheriff Wesley Barnes, who arrests Russell for a DUI. Russell had just paid off Rodney’s gambling debts to Petty. His brother doesn’t know this and so thinks he is still indebted to the loan shark/promoter. In addition, his girlfriend Zoe; played by Lena Taylor; thinks he has abandoned her and is now pregnant with the Sheriff’s child. When everything goes wrong at the fight in the hills with Harlan DeGroat and his crew, Petty is killed and Rodney goes missing. Russell sets off to find him, mistaking the Sheriff’s methodical ways as stonewalling due to the tangled relationship they have concerning Zoe. In reality that is not true. Knowing that chasing down someone like Harlan DeGroat will get him killed he tries to dissuade Russell from going after him. But trying to stop Russell from looking for his brother is like trying to stop the wind; it can’t be done. And when he does find him the results are almost predictable, as Russell’s anger seems to have leapt out of the furnace as he extracts his revenge. This film is written, filmed and directed in a way which will keep you engrossed in the plot and have you feeling involved and sympathetic with the Baze brothers as they attempt to navigate the waters of fate which ultimately come to engulf them.